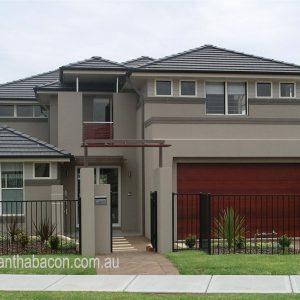 The quintessential European farmhouse with aged, mellow stone, limewashed walls and worn thresholds or a classic English country cottage with a garden of rambling roses and doors and windows that don’t quite line up, are the buildings that lovers of country style will evoke when thinking of a house with character and history. 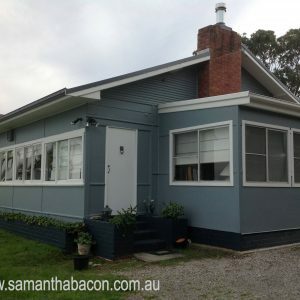 Of course these may be out of reach for most of us but you can achieve that understated charm with the simplest of homes that do not necessarily have the rich history of these ones. 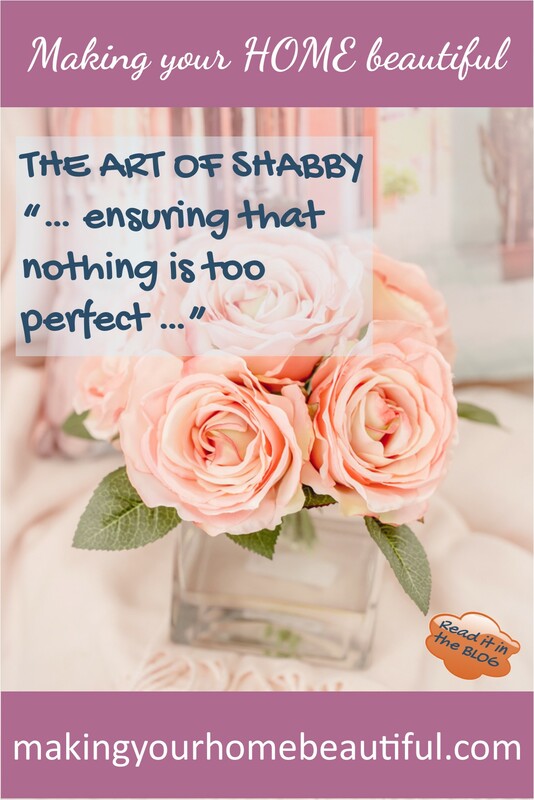 The key to this is ensuring that nothing is too perfect, in fact it is the art of being shabby. 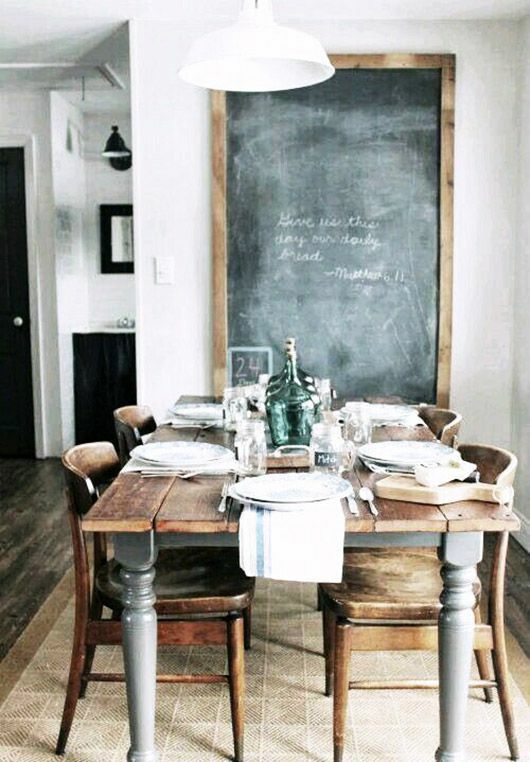 A shabby look should come from using pieces of furniture that are pre-loved and beautiful. Items that have worn over time or are handmade and tell a story are far preferable to something brand new. This timeworn look is achieved by only buying and keeping items that you really love and cherish and placing them together without fear of them not matching. 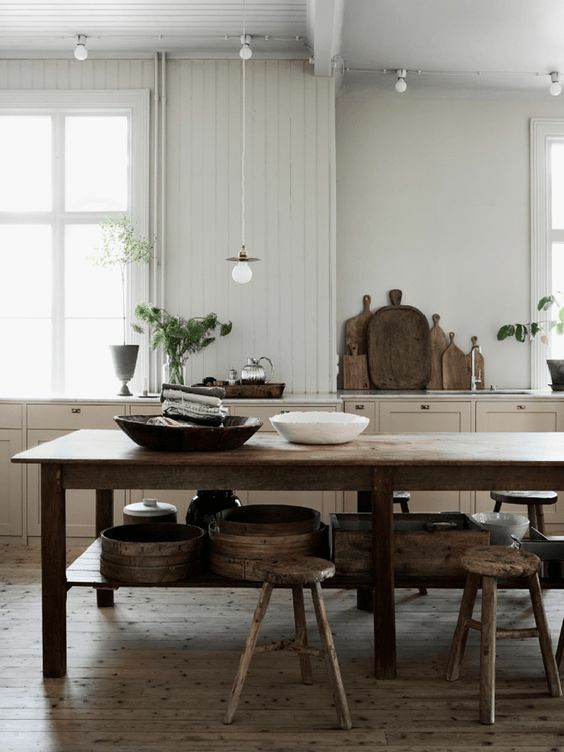 In terms of colour for a shabby look, keep the palette muted and the finishes natural. Look for vintage fabrics that have softened with age or opt for classic cotton and linen fabrics with colours that do not grate. Of course, to properly re-create the shabby look of a house that has an interesting past, the beautiful furniture and fabrics need to have a home that is timeworn and lived in without being a dump. Fortunately you can now achieve this with paint finishes. The shabby look can be achieved with matt chalk paint which can be applied in layers of different colours with darker tones at the base. Using wax to protect and sandpaper to rub back areas of the paint you can achieve a very authentic aged look to furniture and interior timberwork. 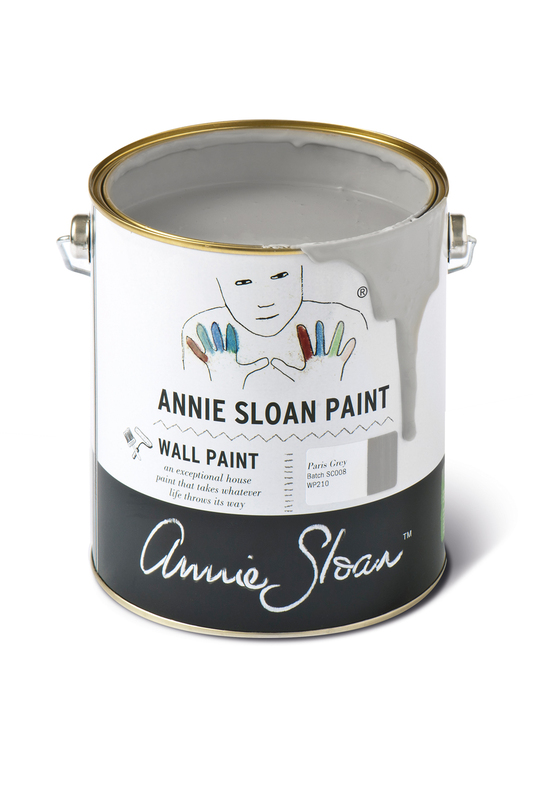 Annie Sloane developed her revolutionary chalk paint over 20 years ago. The paint colours were inspired by 18th and 20th century design and can be mixed to achieve an endless range of beautiful clear colours. You could however be very content with the colours available. The Aubusson Blue taken from the beautiful French rugs of the 18th Century is a favourite of mine. 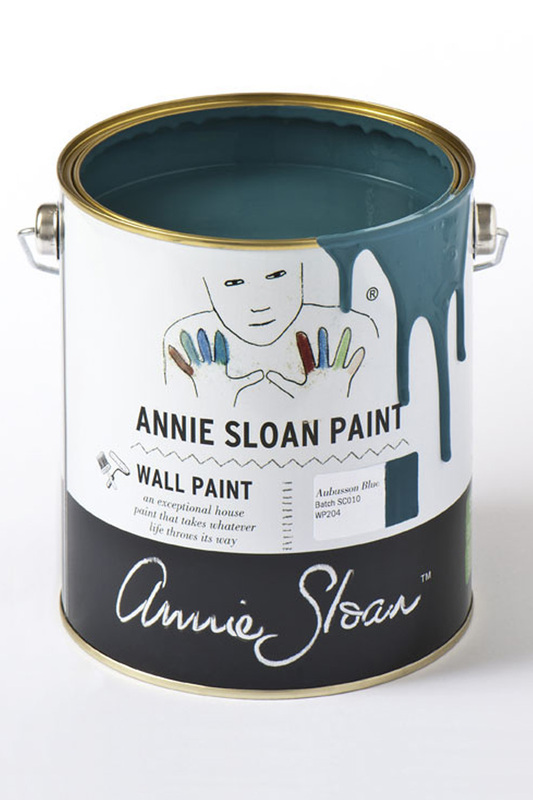 This is available in Annie’s classic chalk paint or a wall paint that stands up to heavy wear and tear. 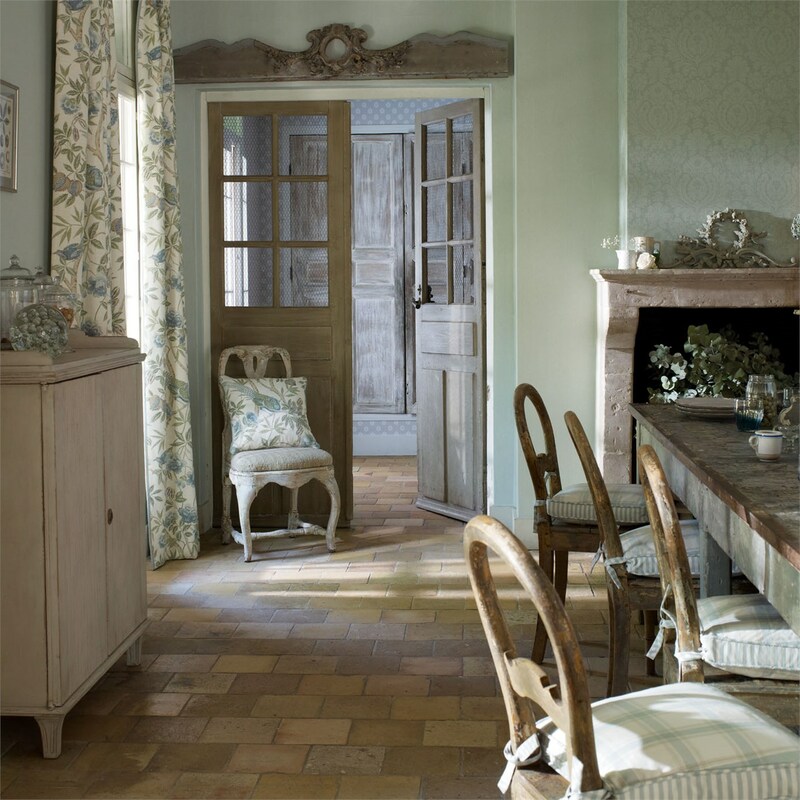 I also love Antibes Green, whilst their neutral range including Paris Grey shown here, is understated, classy simplicity. 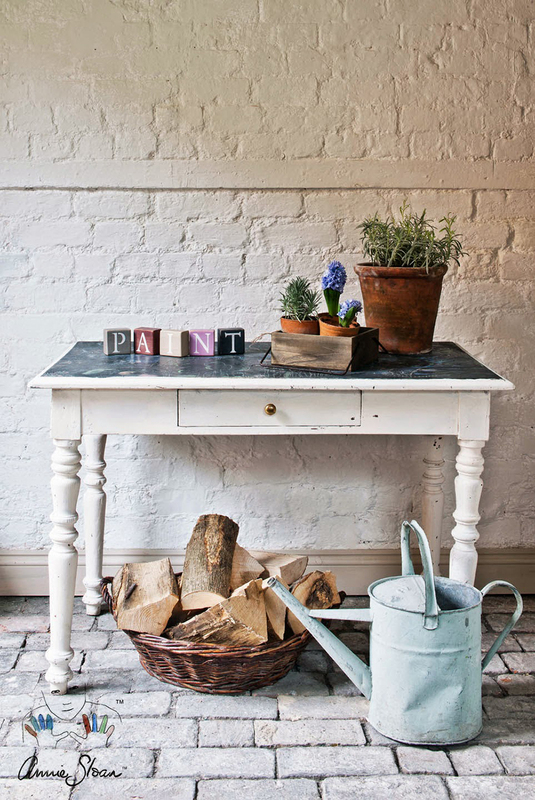 The beauty of chalk paint is that you don’t need to do any preparation as the paint contains a primer and with no lead, VOCs or odour it is very environmentally friendly and easy to work with. 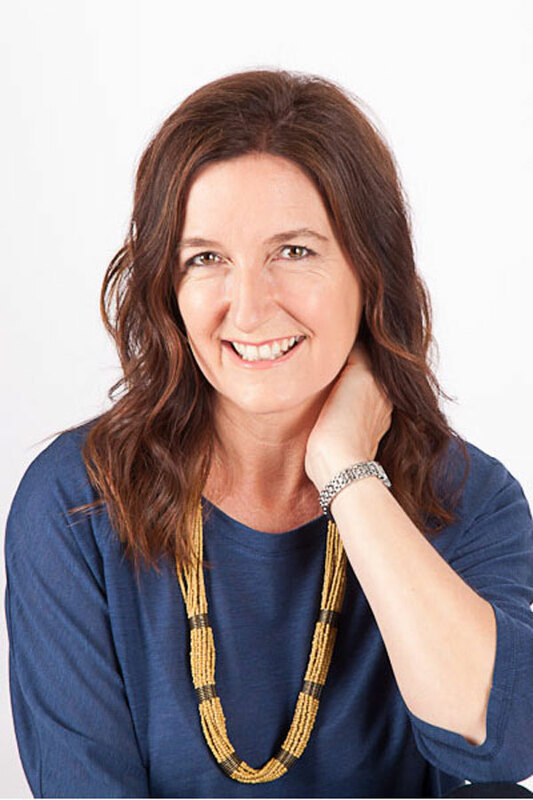 I highly recommend a visit to Annie Sloane’s website that has a wealth of information, tips and techniques to follow which will have you embracing the Art of Shabby in no time. Beautiful timber antique furniture is perfectly suited to a country style scheme. 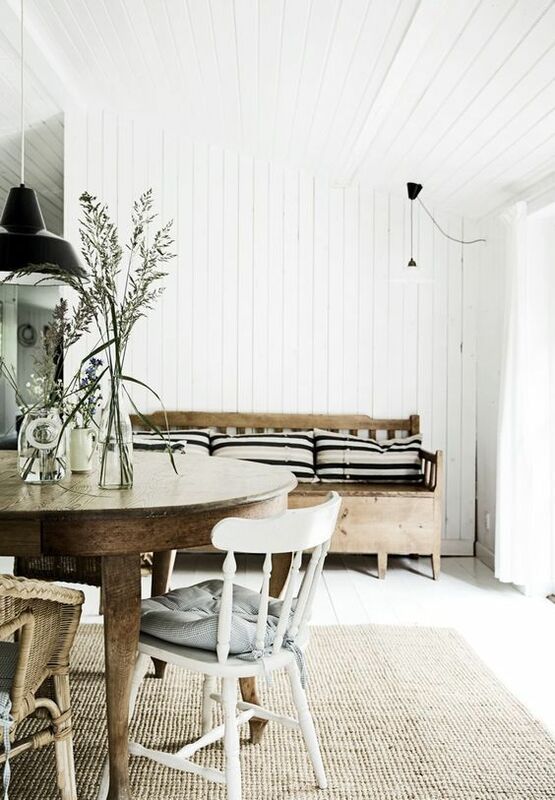 The look here is relaxed and definitely evokes a shabby style vibe but with the liberal use of fresh white for walls and floors, the feel is contemporary. A simple white backdrop ensures that the beautiful timber furniture is the star of the show. So although chalk paint is an excellent way to update tired furniture, remember to really look closely at the pieces you have before painting them as it may be the walls that need the paint job. 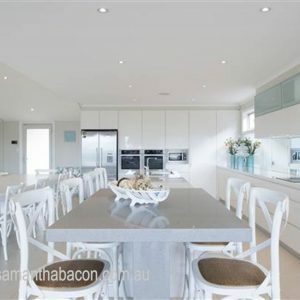 Think outside the square for your kitchen island if you like the country style look. 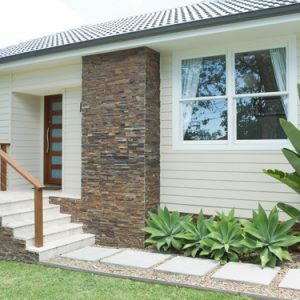 This timber piece is beautiful and gives you the shabby look but with heaps and heaps of style. 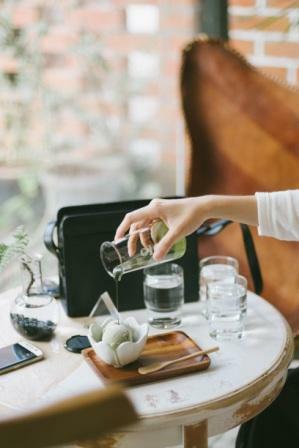 A good quality furniture wax is an excellent way to feed and restore old timber and will bring out the grain without a highly polished look which would spoil the overall scheme. Don’t overlook window dressings when it comes to achieving the Art of Shabby. Again, simplicity reigns here and natural fabrics are key. 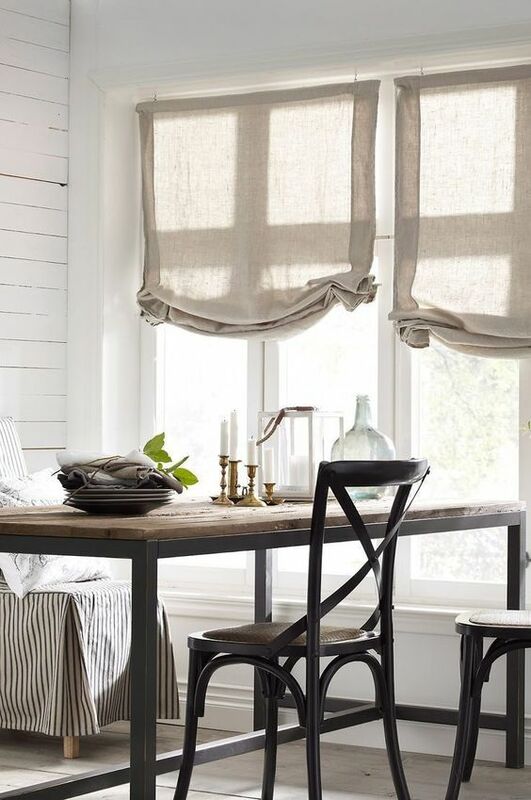 You can’t go past simple linen drapes or relaxed style Roman blinds to maintain this feel. Remember, it doesn’t have to be perfect – and for those busy souls, like myself – that is a wonderful thing to hear. 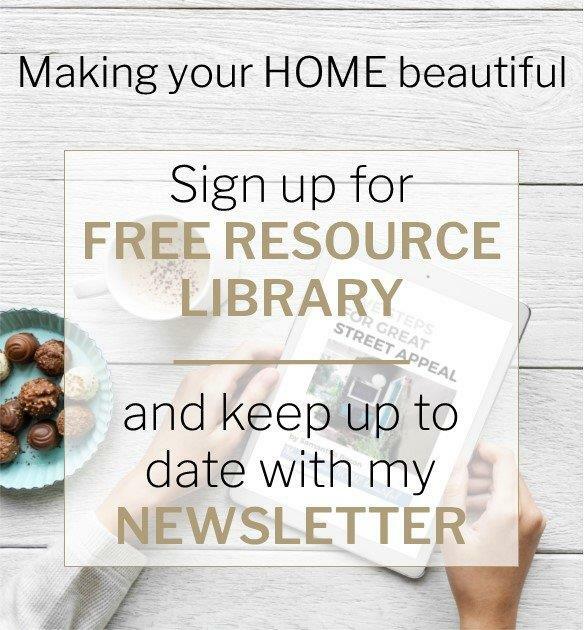 Follow me on Pinterest for lots more inspiration for a country style and a less than perfect shabby look.